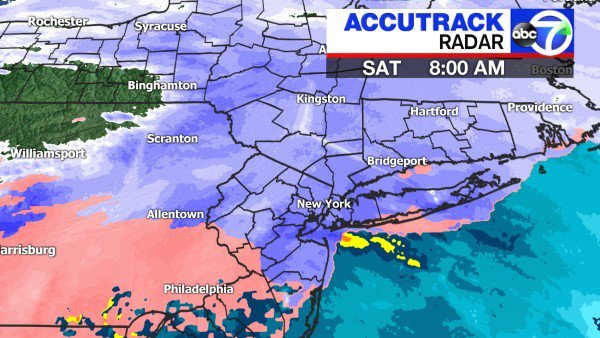 NEW YORK (WABC) -- Snow moved into the Tri-State area overnight, with about 1 to 3 inches expected for New York City and higher amounts in areas north and west before the precipitation changes to rain. The snow started falling early Saturday. About half an inch had accumulated before sunrise. 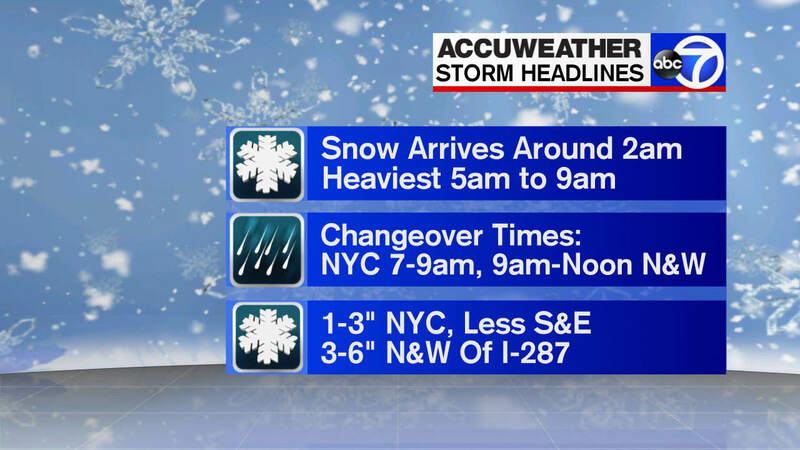 The forecast for Long Island is 2 to 3 inches. 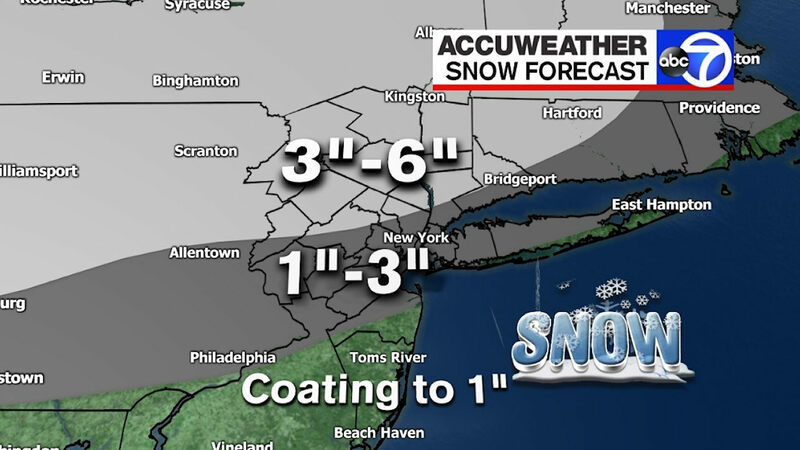 The National Weather Service says snow is expected to give way to sleet and freezing rain, causing icy conditions. 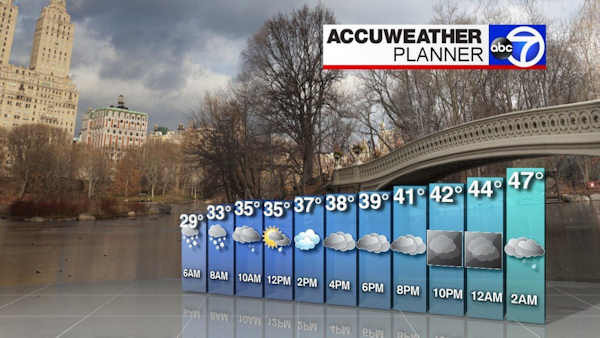 Warming conditions should lead to plain rain by afternoon. 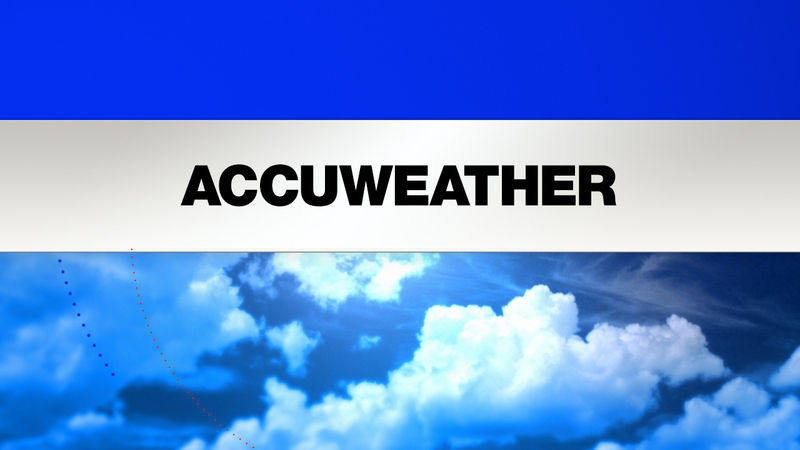 MORE:Continuing coverage from the AccuWeather team.